Interview With Cookbook Author Barbara Brandt – Your Kids: Cooking! 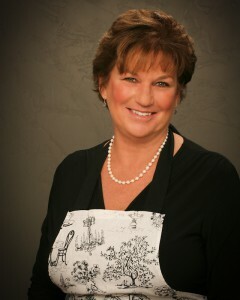 Home » Foodies » Interview With Cookbook Author Barbara Brandt – Your Kids: Cooking! 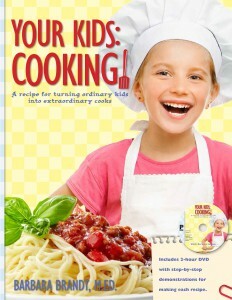 For cookbook author Barbara Brandt.Your Kids:Cooking!. the most precious gift children can give their parents and parents can give their children is joyful time spent together. Your Kids:Cooking! was written with a unique purpose in mind — as a catalyst that would help parents teach their children a life skill from the heart. In cooking with your children you share much beyond how to slice a carrot or peel a potato. You create life-long memories, and as Barbara’s grandmother did for her, the kids in your life will feel special and loved too. Diva Foodies: Who inspired your love of cooking and why? Barbara Brandt/Your Kids:Cooking! : My love of cooking was inspired by my paternal grandmother. She loved to cook, and that love of cooking and sharing delicious food with her family was contagious. I learned to cook from her, but not because she “taught” me how to cook. We just spent a lot of time together in the kitchen while she cooked and she always made it so much fun and carefree. She let me do anything I was willing to do and didn’t worry about mistakes or messes. I felt very special and loved by her while we “played” together in the kitchen. She had owned a restaurant in San Francisco in the 1930’s and 40’s and so she knew how to make everything from scratch, from broth to pasta to pastry dough to marinara. She had an amazing repertoire of things she could make — all absolutely delicious — and I never once saw her use a recipe. She made cooking come alive for me and I just wanted so badly to be able to make people happy with food the way she did. Her cooking also gave me an appreciation of and appetite for fresh, homemade food, which motivated me to learn to cook from a very young age. I had become accustomed to fresh, wholesome, delicious food and I knew early on that the only way to eat that way was to learn how to cook that way. 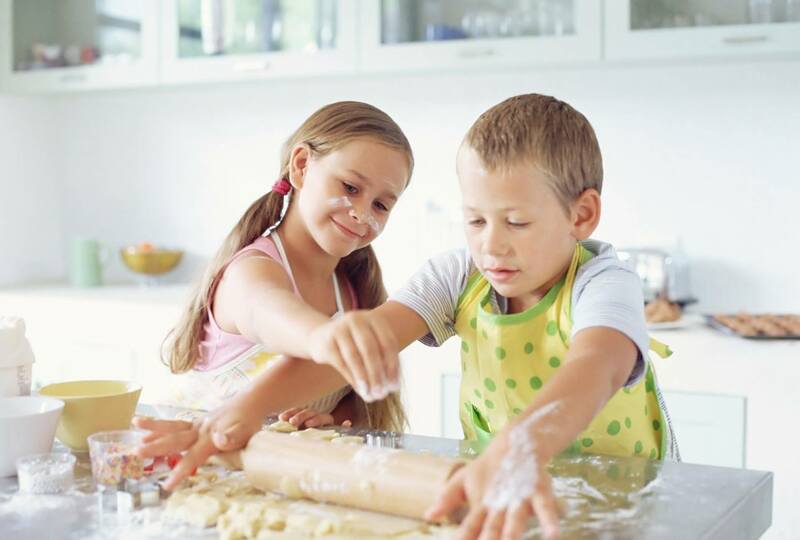 Diva Foodies: We understand you created Your Kids:Cooking! to help your daughter, and other children, learn the lessons of cooking in a fun interactive format. What was your daughter’s reaction to your completed work? Barbara Brandt/Your Kids:Cooking! : When my daughter finally saw the finished product that had been consuming my time for the previous 4 years, her comment was “This is really cool mom. Too bad you didn’t have this done when you first tried teaching me to cook!” She’s 18 now and headed for college and has been using YKC to teach herself to cook over the last 6 months. She’s made all the recipes in the book and loves the format so much that she now rewrites recipes she finds in other books or online into YKC’s Get Ready!, Get Set!, Get Cooking! format using a blank template. Like me, she finds cooking from traditional recipes difficult and tedious, so having the ability to rewrite any recipe into YKC’s trademark format has really gotten her motivated to try all kinds of new recipes, which is so great to see. 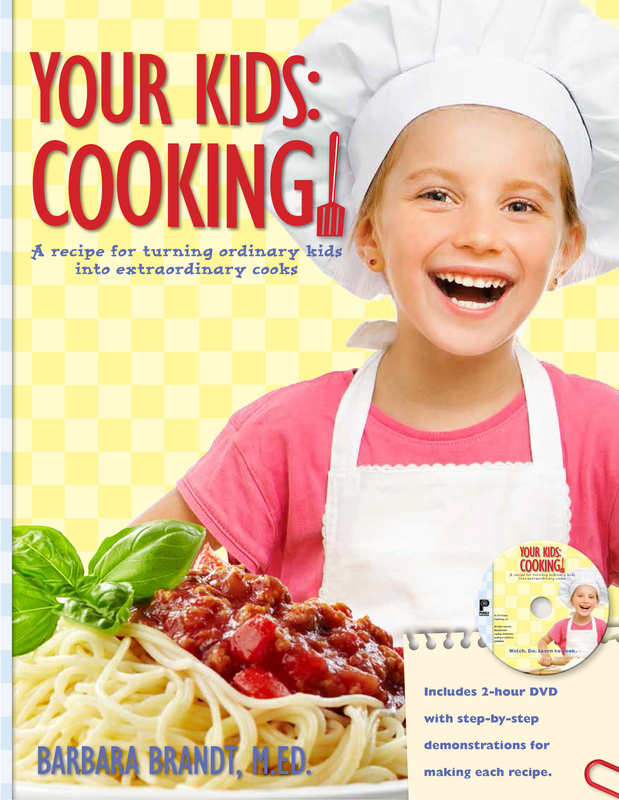 Diva Foodies: The book and the video that support Your Kids: Cooking! are both extremely detailed. What were some of your challenges ensuring there was just the right amount of information and recipe steps? Barbara Brandt/Your Kids:Cooking! : The only real challenge in formatting the recipes the way I did—other than being very time consuming—was the amount of space it takes. You won’t find another cookbook anywhere that uses six pages per recipe because it’s simply too expensive for a traditional publishing business model. And that’s the primary reason I chose to publish myself. My background is in curriculum and textbook development and I know how information is best broken down and presented to a young audience for optimal learning. Given that the primary objective of YKC is teaching and learning, it was imperative that I had the ability to present the recipe-lessons in a way that is best suited for the way young kids learn rather than the publisher’s bottom-line. Diva Foodies: When you were developing Your Kids:Cooking! how did you determine which recipes to include and which to leave out? Barbara Brandt/Your Kids:Cooking! 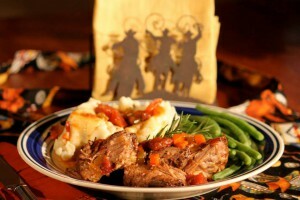 : There were two things I kept in mind when choosing which recipes to include in the program. First, because the focus of YKC is on teaching kids to cook rather than simply providing a collection of recipes, I wanted to include recipes that were familiar and popular with kids so they would be as motivated as possible to make them. That’s why I went with traditional dishes using ordinary, everyday ingredients such as macaroni and cheese, spaghetti and meatballs, eggs benedict, stir fry, and French toast. Second, and more challenging, was that I had to find ten recipes that would allow for the teaching/learning of all basic cooking skills, methods, and techniques. And they also had to be able to be arranged in such a way that new skills would be learned in each recipe-lesson and previously learned skills would be reviewed. That was a bit of a puzzle! For example, I really wanted to include lasagna in the book, but making lasagna requires the teaching and learning too many new skills for one recipe-lesson. I needed recipes that were relatively simple to make in terms of the number of skills required to make them. Finding the ten target recipes to meet all of these criteria was one of the biggest challenges of the entire project, but I think I got it right. Kids and parents alike really love the recipe selection and all basic cooking skills are covered. Diva Foodies: Much time goes into creating a cookbook including testing the recipes. Did you work with any children and/or parents to ensure the recipes were kid friendly? Would love to hear any behind the scenes stories! Barbara Brandt/Your Kids:Cooking! 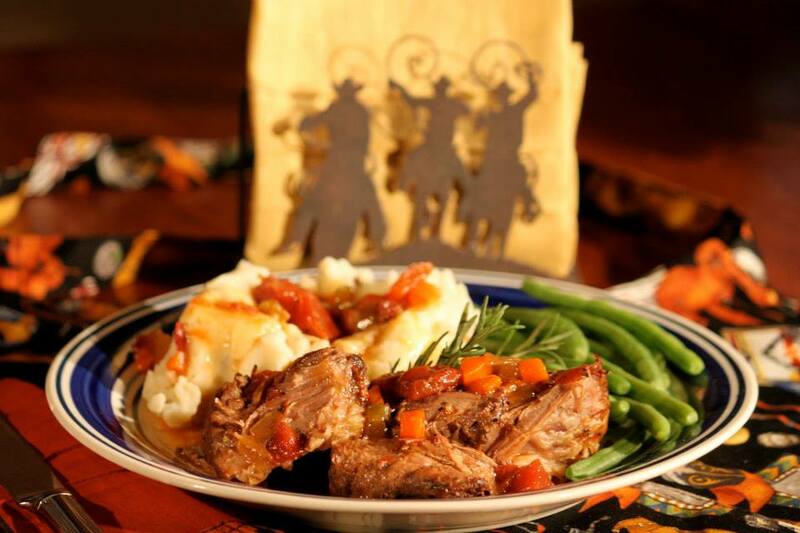 : The ten target recipes in the program are recipes that I had been making for years, not just for my own family, but also when I would entertain or when I would cook for large groups of friends and family during the summers at my parent’s lake house. My sister (who also learned to cook from our grandmother and is arguably a better cook than me) and I would take turns cooking for groups of up to 25 many times over a summer, and we learned over the years what recipes were the biggest crowd pleasers. We never made separate “kid-friendly” meals, so whatever we made had to be something that would appeal to kids and adults alike. In that sense, the recipes in the book had been tested over several decades not just on kids, but on people of all ages. And because meal preparation at the lake house was always a group effort, we always had kids helping us to some degree or another, so everything we made also had to be “kid-friendly” in that sense as well so that even the youngest of the bunch could pitch in and contribute. I guess in a way I had been preparing for writing this book for my entire adult life. 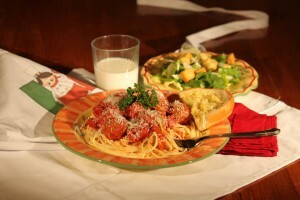 Diva Foodies: There are many home cooks that love to cook with their children and have interesting ideas for cookbooks. What advice would you give the wanna be cookbook author? Use your intuition and experience to guide and inspire you, but always have first and foremost in your mind who you are writing the book for and what your purpose for writing the book is. Know exactly who your target audience is and understand what they want and need based on the goal you have in mind for them. There’s an old saying I really like: “You can please some of the people all of the time, and you can please all of the people some of the time, but you can’t please all of the people all of the time.” Know exactly who you’re trying to please, and understand that it’s not everyone! Diva Foodies: Baking and cooking with children can be a joy and sometimes a bit of a challenge. In life we learn from many people. What lessons did you learn from your daughter and the children you shared the kitchen cooking together? Barbara Brandt/Your Kids:Cooking! : The most important thing I’ve learned over the years working with kids both in the kitchen and in the classroom, is that kids can do a whole lot more than we as adults sometimes give them credit for and that when we challenge them appropriately, they not only learn more and faster, they truly enjoy learning. Kids want to be pushed beyond their comfort zone and they are less afraid of making mistakes than most adults. When we, as their teachers, can let go of our own fears about making mistakes and realize that mistakes provide an opportunity for growth and learning, we can provide a challenging and rewarding learning environment in which kids will thrive. Diva Foodies: On your site you say, “After learning all I could from the “experts” I made it my mission to create a method for parents to teach their kids to could that would be fun and effective and keep kids engaged.” What did those “experts” teach you? Barbara Brandt/Your Kids:Cooking! : Mostly what I learned from watching the “experts” is that no one is really teaching cooking in a way that I feel is very effective. Cooking is a “hands-on” subject and if we want kids to learn to cook we have to let them be in charge of the process. I didn’t see anyone doing that. I learned that kids need to be challenged and allowed to learn on their own and make mistakes. I learned that kids get bored when they just sit and watch someone else do all the cooking. I learned that kids need to be 100% in charge of their learning if we really want cooking to come alive for them, rather than just be one more “skill” they need to learn. I also learned it’s important to help kids understand why it’s important that they learn to cook. This is probably the most important thing I see missing from cooking instruction for kids. It ignores the most important element in learning—motivation—making your students see how what you’re trying to teach them is relevant to their own lives. That’s why I included nutrition education in the book and why, in my workshops, we spend the first day learning what it means to eat healthy and why eating healthy is important, as well as all the other benefits of knowing how to cook. Learning needs to be not only fun and engaging, but relevant as well. Diva Foodies: TV food programs like Fox Broadcasting’s Masterchef Junior (Fox) and Food Network’s Kid’s Baking Champions are quickly becoming popular with both kids and adults. As a popular children’s cookbook author and a mom, what are your thoughts about kid food TV competition shows? Barbara Brandt/Your Kids Cooking: From the standpoint that these shows are inspiring kids to learn to cook, I think they’re fabulous! I just hope that kids don’t get the impression that cooking is about perfection and being the best. Hopefully they’re learning more about the rewards and benefits that come from knowing how to cooking, regardless of whether you’re a “master chef” or not. To the extent these shows make cooking “cool” and encourage other kids to cook, that’s great and I’m all for it. I just hope that kids realize you don’t have to be competitive about it in order for cooking to be rewarding and fun. Diva Foodies: You have several social media, we like to call them assets, e.g. Blog, Twitter, Facebook. How are you using digital and social media to extend your brand for your cookbook? What is working best for you and why? Barbara Brandt/Your Kids Cooking: Social media is my biggest challenge as an author and I am still trying to figure out how to use it as a means to reach my audience. I’m really not using social media at all at this point, but am working on finding someone to help me learn how I can use it. I like to share my message about the importance of kids learning to cook the old fashioned way—face to face—so I use my cooking and nutrition workshops that I give in schools as my “social media” and encourage the kids to share their enthusiasm with their friends. But one day soon, I’ll get up to speed with social media to help spread my message faster. Diva Foodies: It’s said that the best food is made from love. What does that mean to you? Barbara Brandt/Your Kids Cooking: I think anytime we do something from a place of love and passion it’s always better. Whether it’s packing a lunch, cooking a meal, or making a gift rather than buying one, giving of our time and energy to do the best we can for those we love is a way to show we care with actions rather than just words. There are actually scientific studies that have shown that food made with love tastes better, but I think it’s more about the recipient knowing that someone took the time to do all they could to do the best they could for those they love that really makes the difference. It’s hard to really put your finger on it, but when you’re sick, I think everyone would agree that there’s no comparison between canned chicken soup and homemade. It just makes you feel better, for whatever reason—scientifically proven or not. Some things just can’t be explained with rational reasoning alone, and I think the value of food made from love is one of those things. It just simply tastes better. Diva Foodies: It seems in this age of technology it seems that cell phones often have a “place at the dinner table.” Do you believe in “only people at the table?” If so, what would you tell parents in how they can make family time meals without technology enjoyable for everyone? Barbara Brandt/Your Kids Cooking: We didn’t have cell service at our house in Montana so mealtime was always technology-free and we used our family dinners as a time for our kids to share their daily ups and downs, or whatever was on their minds, and tried to just listen and make them feel heard and respected. We tried to make mealtime fun and relaxing and a time when they were the center of attention, for the most part. We encouraged them to open up about what was going on in their lives so we could learn about the little things that mattered to them, as well as the big things. Most nights, dinner was the only time the four of us were together in one place so it was a good opportunity for us to have fun together and be reminded of how lucky we all were to have each other. With a little effort and practice, having a regular, technology-free dinner routine can help build a sense of family unity, and I think every family will go about it in a different way, but it’s definitely worth the effort. Diva Foodies: As is our tradition at Diva Foodies, we’re tossing the virtual mic to you Re. Wrap it any way you’d like! Barbara Brandt/ Your Kids Cooking: Teaching children to cook has been a passion of mine for such a long time and I’m thrilled to be part of this current movement towards healthier eating for our kids through learning to cook and eat fresh, wholesome food. It is my hope for my cooking program that I can show kids that cooking can be fun and rewarding and easy to learn. I encourage parents to get their kids involved in cooking as young as possible and maybe even learn together, and to remember that cooking matters because the health of their children matters. So, parents, get your kids cooking . . . today, tomorrow, and for the rest of their lives! Disclaimer: We received a complementary copy of Your Kids:Cooking!. However, all opinons are those of the author of this post.